These African meat pies have the flakiest and buttery crust, with a moist and mouth-watering filling. The filling consists of minced meat and a choice of vegetables. Add Habanero peppers for a little spiciness if desired. Perfectly baked in the oven to perfection and enjoyed as a snack at home, at parties or wherever and when you please. African meat pies are very popular in West Africa but are slowly gaining popularity in other parts of Africa. These pies are so delicious and satisfying and can easily replace a meal. These African meat pies have a flaky and buttery crust that crumbles in your mouth. The filling is moist, loaded with minced beef, potatoes, carrots, and scallions. The combination of thyme, garlic, white pepper and cayenne pepper takes these pies to the next level. This filling is so good that you might be tempted to put it on some rice and dig in. To make the perfect meat pies, make sure you use the right ratio of flour to butter. Also, make sure that you don’t overwork the dough. These two steps will bring you closer to achieving the best African meat pies. Start by mixing all-purpose flour, sugar, salt, and unsalted butter. Mix gently with your fingers until you have a breadcrumb-like consistency. Add your eggs and water and mix to form the dough. Once the mixture comes together, transfer to a work surface and knead for a maximum of one minute. All you want at this point is for the dough to form. Over-working the mixture will result in leathery meat pies, and you don’t want that. Wrap the dough with a cling wrap and store in the fridge while you work on the pie filling. In a saucepan, fry onion, and garlic. Add the minced meat and the spices and fry, making sure that you break all large meat chunks in the process. After that, add the potatoes, carrots, and water. Cover and allow to boil on medium heat for about 15 minutes. Add a heaping tablespoon of all-purpose flour to the filling and stir to thicken the stock. This process will result in very moist African meat pies, pleasing to your taste buds. Roll out the dough and cut out circles using a pie cutter. Place a heaping spoonful of pies filling in the middle and cover to form a half-moon shape. Seal the edges by lightly pressing with a fork and bake for 25 to 30 minutes in the oven until brown to your choice. There are other similar recipes from other regions that I will be sharing at a later time here on the blog. Use slightly cold butter; not hard. Substitute butter with margarine. I prefer using butter to margarine because it’s a healthier version. You can make these pies ahead of time and freeze for future use. After assembling the meat pies, place in one row on a tray and freeze. After that, place them in a ziplock bag and freeze till needed. To cook, unfreeze them for 30 minutes on your kitchen counter and bake as usual for 25 to 30 minutes in the oven. 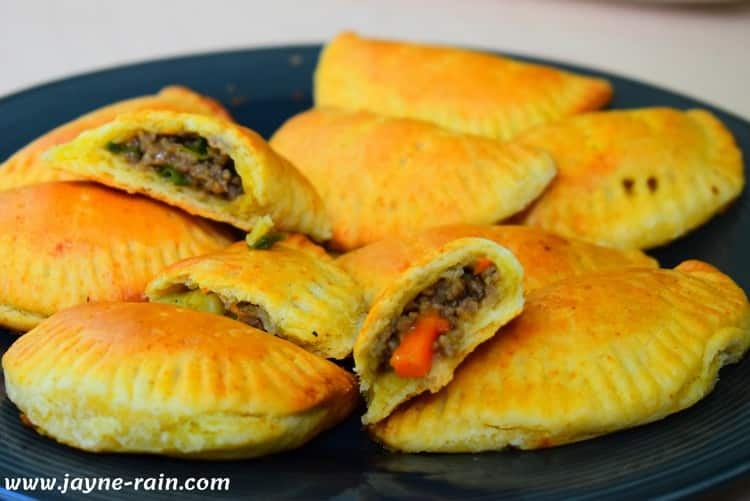 Substitute the vegetables in this African meat pies recipe with other vegetables of your choice. 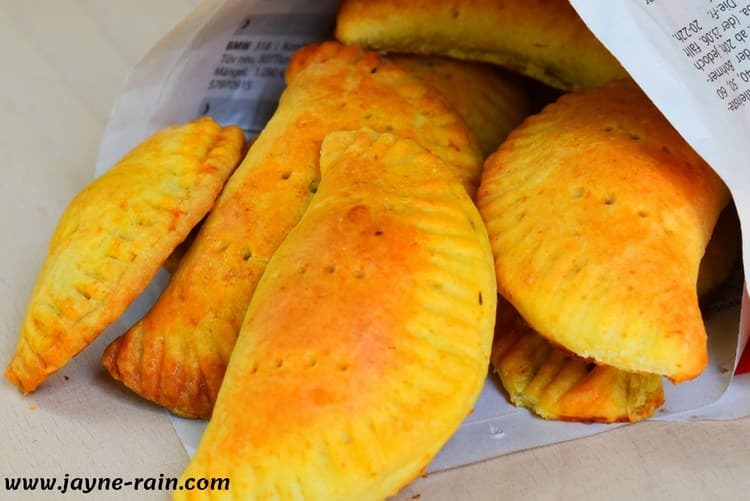 African meat pies have the flakiest and buttery crust, with a moist and mouth-watering filling. The filling consists of minced meat and a choice of vegetables. Add Habanero peppers for a little spiciness if desired. Perfectly baked in the oven to perfection and enjoyed as a snack at home, at parties or wherever and when you please. Instructions for Making the Pie Filling. In a medium saucepan, heat the oil. Add the onion and fry till light golden brown. Add the garlic and stir for an about one minute. Follow by adding the white pepper, black pepper, cayenne pepper, bouillon powder and stir for a few seconds. Add the ground beef and start breaking the chunks. Fry till lightly brown stirring constantly. Next, add the potatoes, carrots and the water. Stir well, cover and bring to a boil. Reduce the heat to medium and cook for about 15 minutes until the potatoes are soft. By this time, the liquid would have almost dried out, but there should still be a bit of the stock. Add in the one tablespoon of flour and stir well. Let it cook for one more minute. This process will help to thicken up the bit of stock that is still in the filling resulting into moist pies after baking. Incorporate the scallions. Mix everything very well and set aside to cool down. Start by beating the two eggs in a small bowl and set aside. In a large mixing bowl, add the flour, sugar, salt and baking powder. Add the cold butter to the flour mixture and mix well with the fingertips till the butter is well incorporated, and you have a breadcrumb-like consistency. Mix in the beaten eggs and the water and combine to form the dough. Transfer the dough to a floured work surface and knead shortly for about 1 minutes until smooth. Don’t overwork it though because the result will be unpleasant. Cover the dough with a cling wrap and leave to rest in the fridge for about 30 minutes. In a small bowl, beat the egg well in advance and set aside. On a floured surface, roll out one piece to about 1/8 inch thickness. Using a pie cutter or any round shaped utensil, cut out circles from the rolled dough. Remove the excess dough left around them and set aside for later use. Place a tablespoon of the filling in the middle of each circle. Cover each circle to form a half-moon-like shape. Seal the edges with your hands first and then press with a fork. Alternatively, if using a pie cutter, you will skip this part because the pie cutter automatically takes care of this step. Place all the pies on a baking sheet lined with parchment paper. Poke a few holes on top of the pies as this will help in releasing the pressure while baking them. Proceed to brush the pies generously with the egg wash. Finally, bake in preheated oven at 200°C for about 25 - 30 minutes until golden brown. The African Meat Pies are ready. Substitute the vegetables in the filling with any other veggies of your choice. The butter should be slightly cold but not hard. Substitute butter with margarine. I prefer using butter to margarine because it's a healthier version. 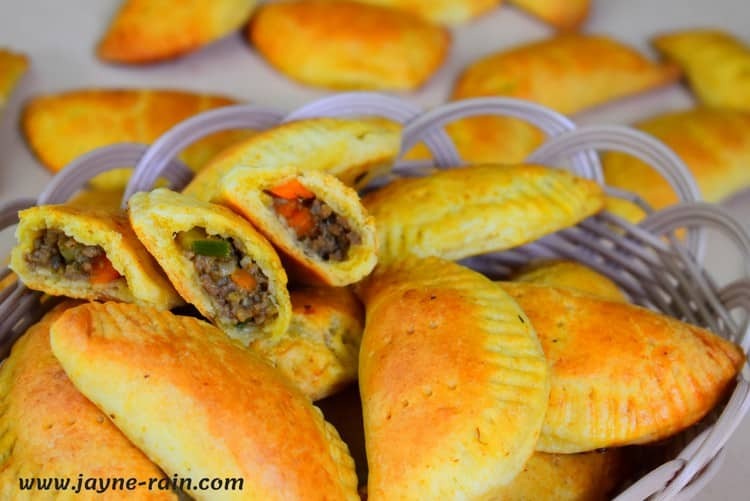 What do you think about this African Meat Pies recipe? Have you tried it out? Meet me in the comment section below and share your thoughts. I would love to hear from you. If you love this recipe, you might also like Mandazi recipe here on my blog. Thank you so much, Cheril Cooper. Let me know how it works out for you. wow, nice one. Your recipes are making me hungry. 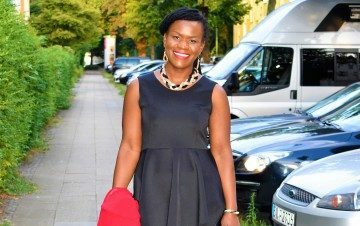 Thank you, Lilian and thanks for stopping by.